Do you have a favorite summer party dessert? Ice cream cake? Fruit tarts with fresh berries? S’mores made over a campfire? You don’t need a campfire to make delicious s’mores! 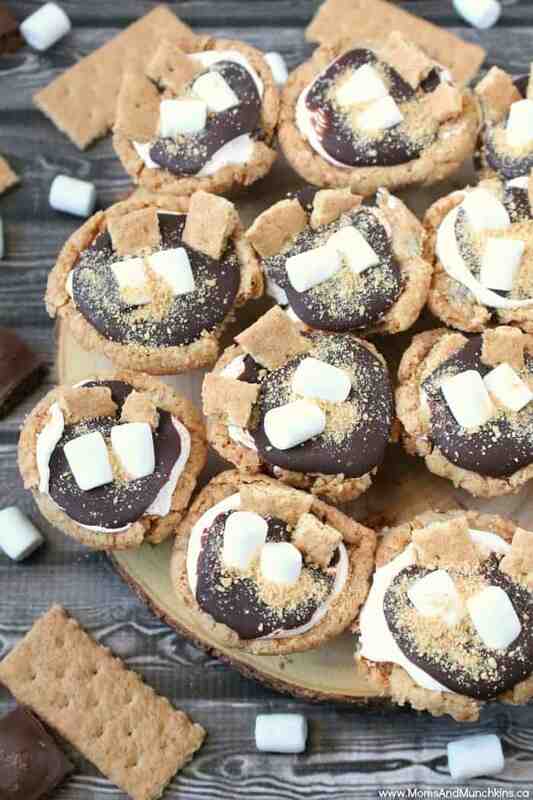 These S’mores Cookie Cups are so easy to make and they’re a great dessert idea for a summer party. They are made in a mini muffin tin so they’re the perfect size for the younger guests too. 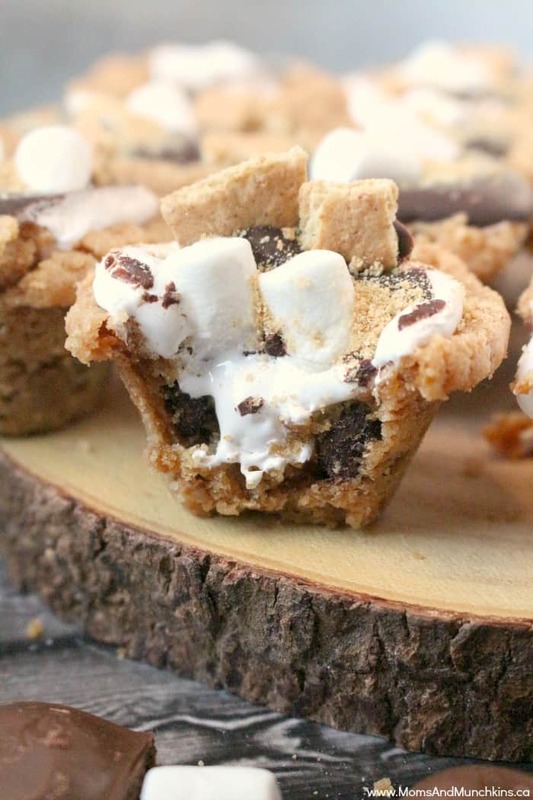 These S’mores Cookie Cups are a deep dish cookie cup filled with chocolate & marshmallow fluff then topped with more chocolate, mini marshmallows and graham crackers. Tummy growling yet? Let’s get to the recipe! Be careful not to bake the cookie cups for too long or they’ll be too crunchy. No one wants to break a tooth on a cookie…trust me, I’ve done it! Plus, I don’t think the tooth fairy comes when you loose an adult tooth. I don’t remember any coins under my pillow when my wisdom teeth were removed. Ha! Be careful not to over bake or the cookie cups will be too crunchy. This recipe makes 24 mini cookie cups. Add egg and vanilla & beat well. Place cookie dough evenly into greased mini muffin tins. This recipe makes 24 mini cookie cups. Bake at 350 F for 8 – 10 minutes. Be careful not to over bake or they'll be really crunchy. Remove from oven and use a spoon to press in the middle of each cookie cup. Let them cool completely before removing from pan. In a small bowl, melt semi-sweet chocolate in microwave. Heat in 30 second intervals (stirring after each 30 seconds) and heat just until melted. 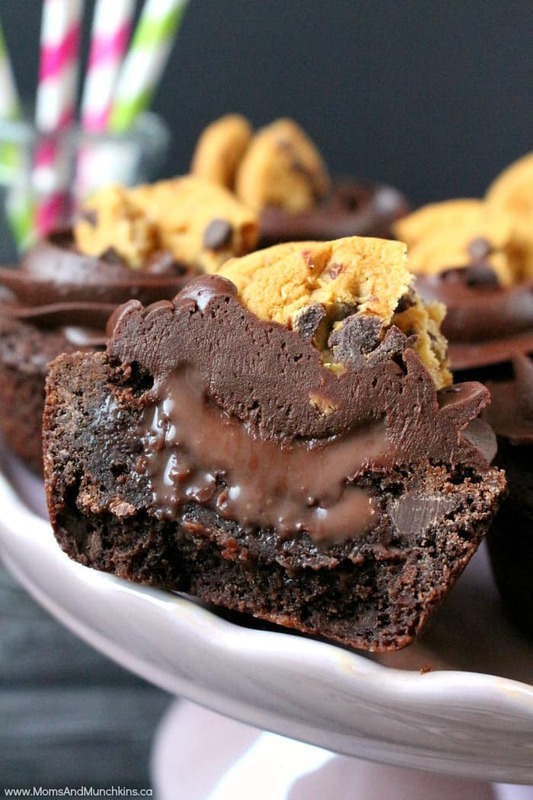 Fill each cookie cup halfway with melted chocolate. Top each with marshmallow fluff. This is sticky to work with so keep a cold glass of water close so you can make this process a bit less messy. 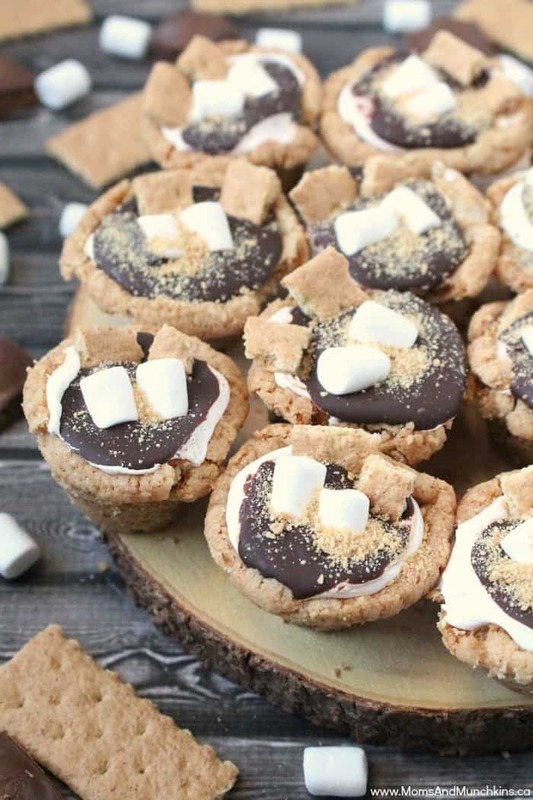 Top each with melted chocolate then place two mini marshmallows, 2 broken pieces of graham crackers and graham cracker crumbs on the top of each cookie cup. Let cool before serving. Love s’mores? 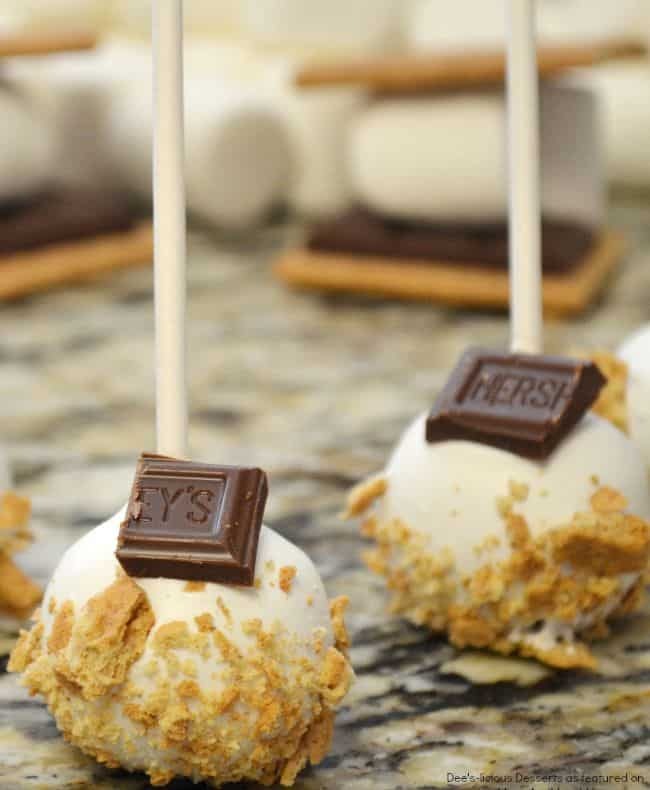 Check out this recipe for S’mores Cake Pops. 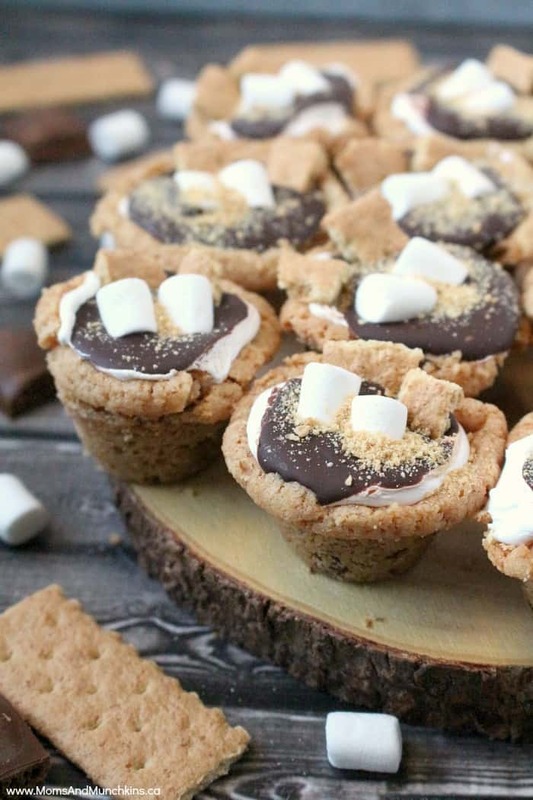 For another yummy cookie cups recipe, check out these Chocolate Cookie Cups. You’ll find more recipes on our Recipes page. We’re always adding new ideas for party food, parties and family fun. Never miss an update by following us on Facebook, Twitter, Instagram and Pinterest.